The event is currently sold out. Please consider to make a donation. Presented by Prof. Wendy Suzuki for NYU Athletics only. Healthy Brain Happy Life PBS pledge shows on your local PBS station nation wide, December - March. Prof. Wendy Suzuki will discuss the foundational work of her mentor Prof. Marian Diamond, know for being the first to demonstrate that the adult brain and grow and change. She will use excerpts from the multiple award winning and 2018 Emmy award nominated documentary "My Love Affair with the Brain: The Life and Science of Dr. Marian Diamond. Speaker for the initiative dedicated to advancing knowledge and innovation transforming the vitality of the mind and health of the brain. An international event speaker for [comfort zone], where business and spa partners from all over the world who share the same values and visions, meet to support their professional evolution and improve the quality of their clients’ life. Department of Kinesiology and Health Sciences at Virginia Commonwealth University Health and Physical Activity Lecture Series. What an honor to speak at the Move for Minds event on Sat founded and hosted by the amazing Maria Shriver. She is a passionate advocate of exercise for brain health and is helping science move towards a cure for Alzheimer's Disease in women! A full-day of inspiring, hopeful stories from powerful women who come from a variety of professions, backgrounds, educations, and experiences. 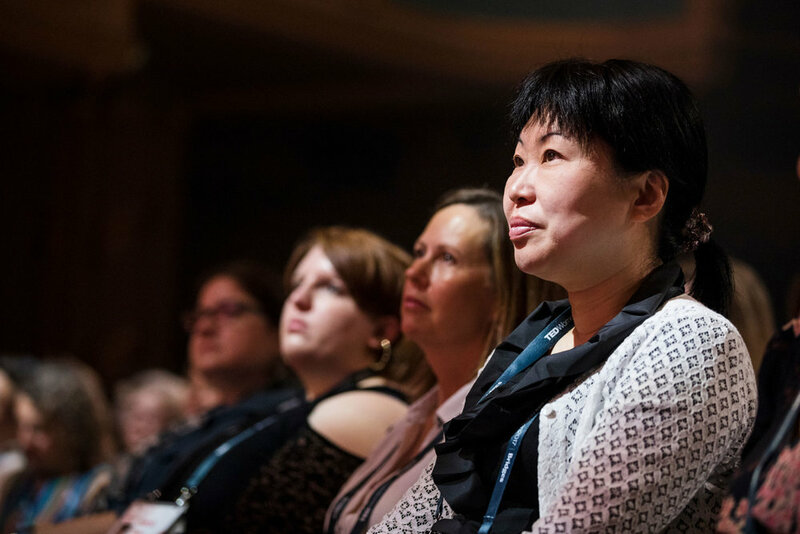 Their stories will impact each attendee in a personal and inspiring way. The day will be filled with interactive sessions, a panel of various industry leaders, entrepreneurial business stories and stories of inspirational personal success stories, plus humor and entertainment. You will be filled with energy and passion. The day will wrap up on a high note by connecting with fellow attendees at Happy Hour. We all know that getting off the couch and exercising is good for our bodies. Dr. Suzuki will explain why working out is also good for your brain. In this session, you will learn how exercise can transform your mood, memory, attention, and imagination. Blending personal experience, science narrative, and practical advice, Dr. Suzuki will demonstrate the connection between exercise and overall health and well-being. Department of Neuroscience seminars are held on Wednesday at noon in the McDonnell Medical Sciences building, room 928 unless otherwise noted. Featured Speaker at the Dandelion Project's Mental Health Conference "THRIVE". The Dandelion Project has a single and clear mission; to make Guernsey the best place to live on earth by 2020. This is not about working to find a single island definition of what the best place to live on earth is. There isn’t one. This is about creating a lens for every islander to look through, to see the possibility for what they can achieve for their community in the years to come. As a community we have abundant resources. The desire is out there. The ideas are out there. The money is out there. The people and projects are out there. The Dandelion Project is helping the community bring these resources together in new ways to unlock it’s true potential. As part of this project we think about big seemingly impossible moonshot questions and inspire people to not only to answer them but make them happen. Bergamoscienza is a Science Festival created in 2003 by a group of friends, members of the scientific association “Sinapsi”. Its goal is to make science accessible to everybody, especially the young people and schools. Its numerous events are free and they involve the whole city of Bergamo and its province. 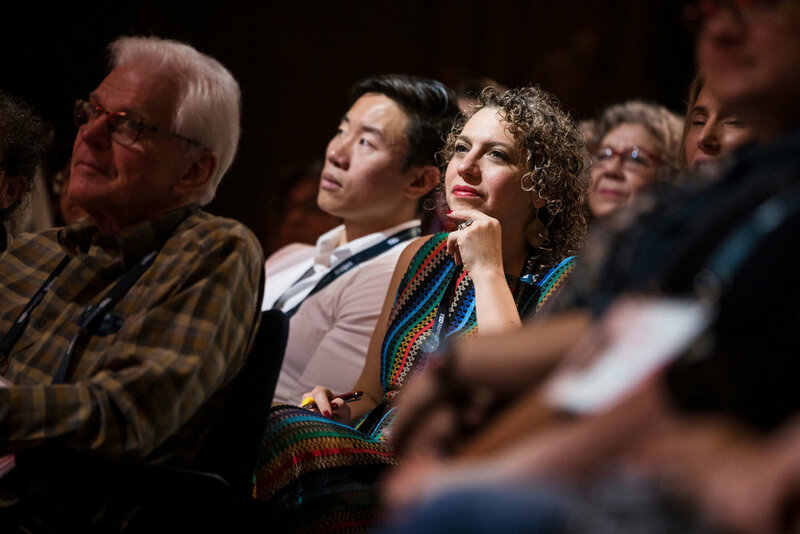 BergamoScienza takes place the first two weeks of October, and it presents many different events including, conferences, round tables, exhibitions, interactive workshops and many others. Come join Wendy in her Sati classes! She will be teaching Mondays, Sept 18, 25th and Oct 2nd from 6:30 to 7:30 at the following locations. And stay tuned for the appearance of Hasan! Join us at JCC Manhattan for a special day focusing on the health of your mind and body. 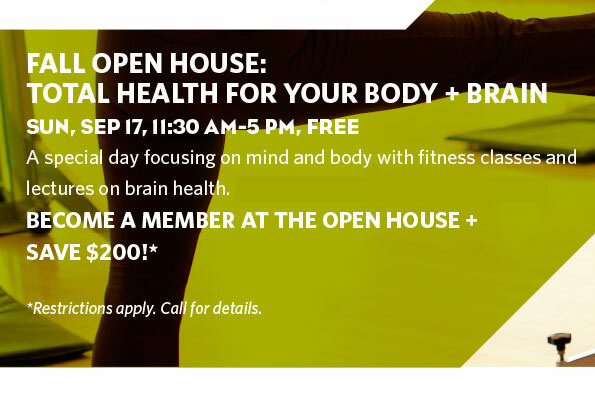 We have partnered with the Dana Foundation and NewYork-Presbyterian Hospital and Weill Cornell Medicine to bring you programs with top experts in the field of brain and body health. Learn how the brain ages and what you can do to increase brain power and memory. Find out why exercise is not only good for your heart but also for your mood. Learn how meditation can change your brain. Understand the ways that thinking, learning, and behavior are associated with neurodevelopment in children as well as adults. Sample fitness classes from indoor cycling and yoga to Zumba, boot camp, and more. Whether you choose a lecture or a workout, you will learn more about how to make healthy life choices to improve your brain, body, and life. Wendy Suzuki will be speaking on the "Adventures in Neuroplasticity: From Memory Palaces to Soul Cycle" during the Plenary Sessions at the Annual APA Convention. Dr. Suzuki gives an overview of her research into how exercise can improve cognitive function and even demonstrates a routine you can follow along at home.